The U2-UFO Gold Digger comes as an Open-Air kit standard. 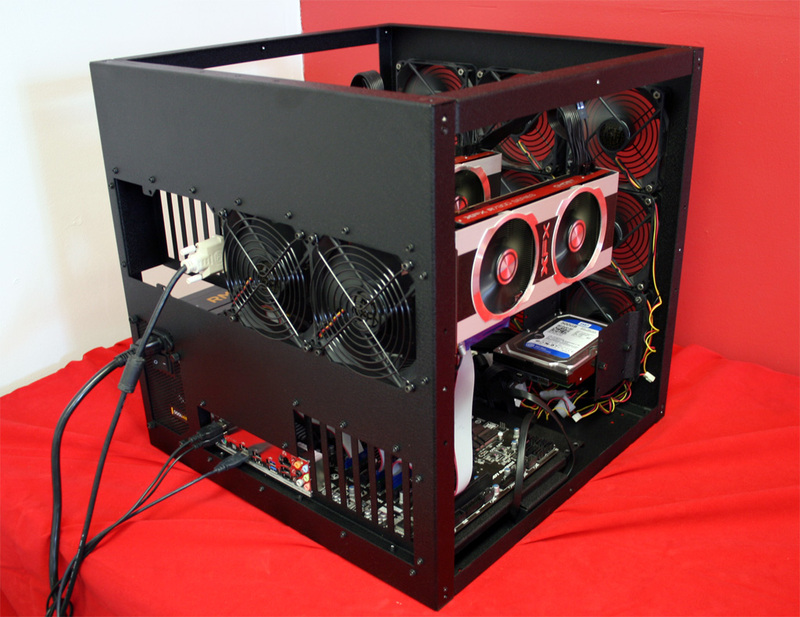 Additional side panel options are available should you desire to enclose the entire chassis. NOTE – Side 2 we highly recommend a panel that has possible air ventilation as the PSU is rotated to draw air from the right side (exterior) of the case for increased cooling. A short Horizon Brace is included with the U2-UFO Gold Digger. This function of the brace is to lift the motherboard as well as the PSU off the floor of the case. Approximately 1 inch of space remains under the tray allowing for cable routing/hiding. The stock configuration of the U2-UFO Gold Digger uses the Mountain Mods 7 slot I/O panel for the motherboard section as well as a standard mATX/ATX motherboard tray. (NOTE – Mountain Mods mATX/ATX motherboard trays are oversized for mounting of EATX motherboards up to 10.x inches wide). An EATX tray can be purchased with the case for EATX boards that are greater than 10.7 inches up to 13.5 inches in width. The U2-UFO Gold Digger comes standard with a Triple 360 front panel. The triple 360 front panel has 9 x 120mm fan ports. All these can be filled with aftermarket cooling fans, or you can choose to fill one with a Power/Reset Plate. The plate comes with 1 or 2 (depending on your choice) laser cut 19mm mounting holes for 22mm diameter anti-vandal switches.